The World Trade Center Association (HQ New York) has opted to assign its service provision to the Lindner WTC Hotel & City Lounge Antwerp near the Central Station in Antwerp.Because of the collaboration and the co-branding with this global brand, the name of the hotel will officially be altered to: Lindner WTC Hotel & City Lounge Antwerp. Both World Trade Center (WTC) and Lindner WTC Hotel & City Lounge Antwerp have good reasons to take this step. A lot is about to happen in Antwerp in the field of hotel developments. No less than an additional 1,000 hotel rooms will be established in this city by the end of 2019. It is essential for the existing hotels to be distinctive. By means of the co-branding, the European Lindner hotel group will be connected, through the hotel in Antwerp, with the international approach of the extremely well-known World Trade Center and with all countries in which this global organisation is present through a strongly extended business network. The Lindner WTC Hotel & City Lounge Antwerp is an (inter)national business location in the heart of Antwerp. 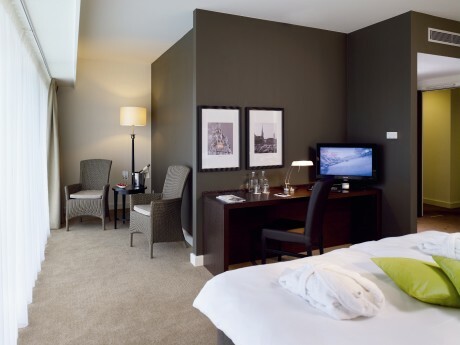 “This collaboration has added special value for our business guests and the entire local and international corporate world,” says Peter J.J. Nuiten, managing director of the Lindner WTC Hotel & City Lounge Antwerp enthusiastically. The World Trade Center has operations worldwide in 88 countries and 318 cities and has the function of door opener for companies who are looking to conduct global business. The offices of the World Trade Center are usually to be found in cities with important business activities, near ports, airports, stations and vibrant business centres. 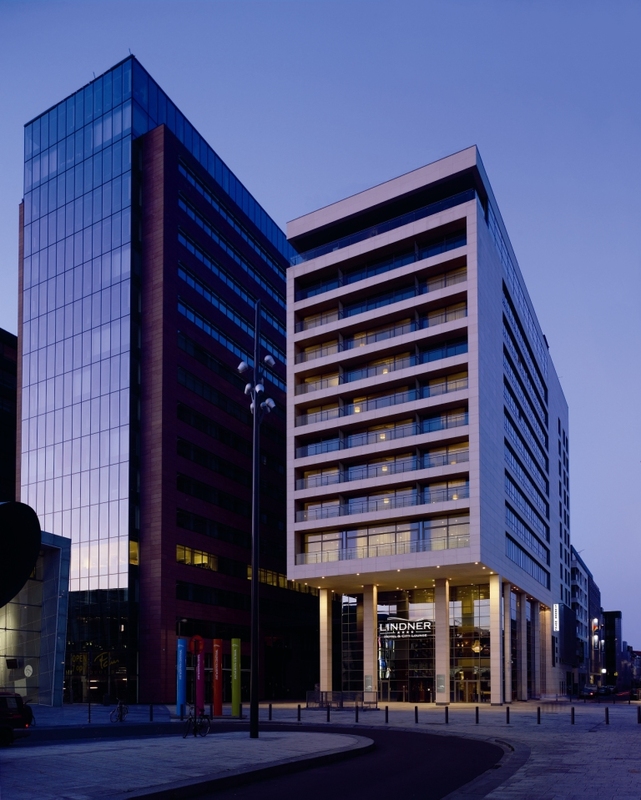 World Trade Center Association chooses Lindner WTC Hotel & City Lounge Antwerp as permanent location in Antwerp. 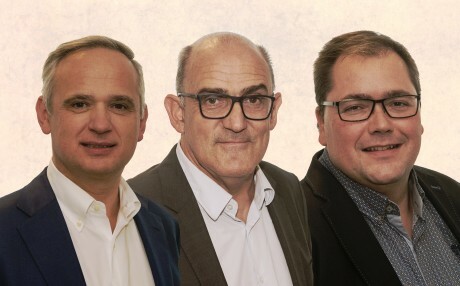 From left to right: Peter J.J. Nuiten (managing director Lindner WTC Hotel & City Lounge Antwerp), Fred Niemans (president of the World Trade Center Antwerp) and Patrick Moens (vice-president of the World Trade Center Antwerp). “In Antwerp, the Lindner WTC Hotel & City Lounge Antwerp is extremely capable to fulfil this role as permanent location for the World Trade Center Antwerp. The new operational base enables us to increase the appeal of our operations and to lift these to a higher level. Establishing national and international contacts for and between companies is conducted as of now by the World Trade Center Antwerp from a high-class and professional environment”, emphasises Fred Niemans, president of the World Trade Center Antwerp. Both the ground floor and the 12th floor of the Lindner WTC Hotel & City Lounge Antwerp will undergo a complete remake in Urban Chic style. There will be an entirely new ground floor, complete with co-working places, meeting corners and state-of-the-art meeting facilities. The conference centres on the 2nd and 3rd floor of the hotel will be visually linked to some 10 port cities in which a World Trade Center network is also active. Those rooms will each be renamed into a city with important business and port activities. The meeting rooms will also be equipped with the latest technological marvels in the field of multimedia. The 12th floor will be officially transformed into the World Trade Center Sky Lounge. This remake makes this national and international business hub in the administrative and corporate heart of Antwerp ready to face the future. extremely important in the hotel. We want to create a feeling of home for both the tourists and the corporate clients. We mainly accommodate city trippers in the weekends and mostly business people during the weekdays. We want to ensure a relaxing atmosphere for both groups”, thus adds Peter J.J. Nuiten. international business. This way, 318 well-known global cities are better connected with Antwerp”, adds Patrick Moens, vice-president of the World Trade Center Antwerp. Thanks to this opportunity and co-branding, the Lindner WTC Hotel & City Lounge Antwerp is getting ready for the future. A recognised design agency with great references in the hotel industry already created a layout for the transformation of the ground floor and the 12th floor and will have finished its work activities before the end of March 2019.